Our uniform policy was arrived at after consultation with the PTP and represents our commitment to ensuring that our children are well presented at all times in school whilst still ensuring that parents do not have to pay too much for uniforms. 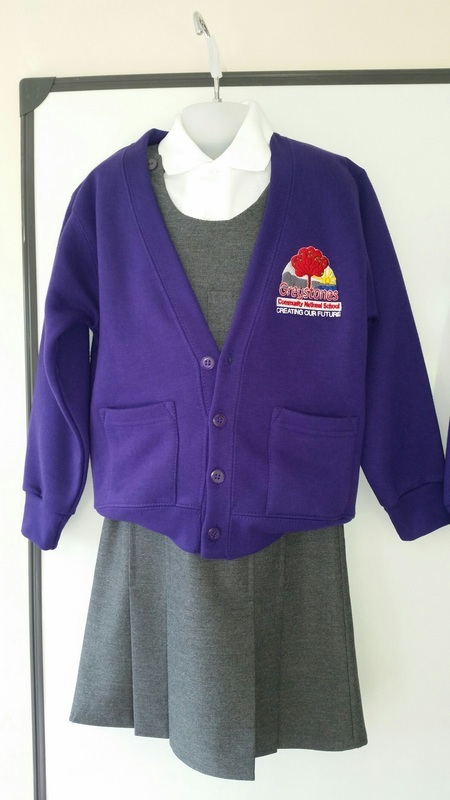 From Sept 2016 we will have a purple uniform with the school crest. 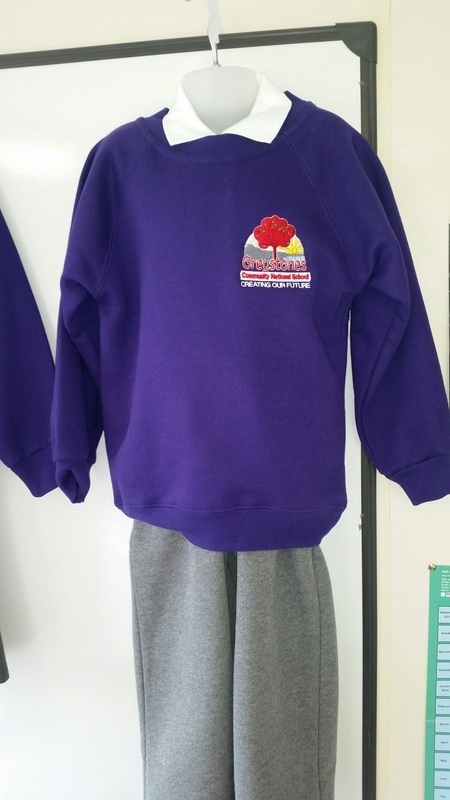 Parents must purchase the uniform jumpers/cardigans and tracksuits at Schoolwear House but the rest of the uniform can be sourced at any of the multiples. Jumpers and Cardigans are €14 and the Tracksuit Bottoms are €13.95. The jumpers, cardigans and tracksuit bottoms will be available from 07/06/16 online at www.schoolwearhouse.ie or in their store at Tesco Shopping Centre, Greystones. The regular uniform can be worn on the other days of the week. This includes School Jumper/Cardigan, plain white polo, marl grey skirt/pinafore/trousers and plain black shoes/runners with Velcro straps. (See pic of cardigan below). Cardigans were requested as an option by some parents. As your child will need to wear the school jumper on PE days you will need to buy at least one school jumper. We wear plain white polo shirts as these are most comfortable for younger children. Shoes Preferably Black school shoes with velcro until they can tie their laces. PE Days: Grey tracksuit bottoms with School Jumper (Not cardigan). Please label all jumpers/cardigans with your child's name. It is best to have elasticated waist bands on trousers as belts can be tricky for young children.